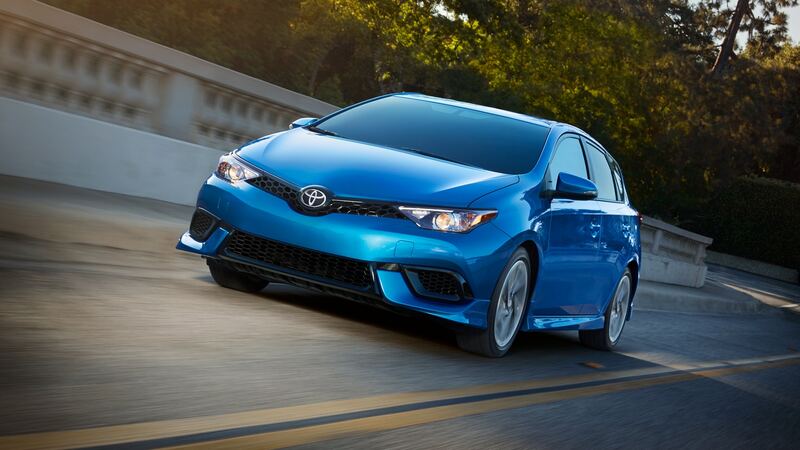 The leading automobile giant Toyota Motor Corporation has intended to introduce new exotic model Toyota Corolla in an awesome hatchback style. This newly brand urban class Toyota hatchback model will soon be launched this summer in July 2018 to give customers something new with having a refreshing touch. This trendy and sporty light-duty 5-door hatchback will soon capture the market with its stunning noticeable display appeal. The upcoming Toyota Corolla Hatchback will feature a sleek and shine robust aerodynamic structure comprising of glittering shine accessories such as distinctive style front LED headlights, front metallic grille, lower black grille, under spoiler front fog lights, front bumper, power side mirror with LED turn signal indicator, and alloy wheels. On the rear side, it will provide a bold stylish catchy display combined with a shark fin rear radio antenna, rear spoiler high mount stop light, LED taillights, rear fog lights, rear side bumper, dual chrome exhaust tailpipe emission, and a black transparent wide rear windscreen with a single intermittent wiper. Interior Design will offer a highly spacious and comfortable 5 passenger leather seating accommodation with having much ease of legroom and headrest capacity for passengers. Moreover, the well-decorated front side dashboard cockpit panel will provide a contemporary look and will be equipped with advanced features included as Toyota Safety Sense 2.0, Pre-Collision System with pedestrian detection and cyclist detection as well as improved low light capabilities, lane tracing assist, lane departure alert with steering alert and road edge detection. It will also be added with standard Etune 3.0 audio with 8-inches touchscreen and apple car play compatibility included with Qi-Compatible Wireless Smartphone charging and apple watch compatibility. This superb compact hatchback will be coming with New TNGA 2.0 litres 4 cylinders gasoline fuel engine absolutely powered by 6-speed IMT Manual Transmission and dynamic shift Continuously variable transmission for a smooth and seamless on-road driving journey experience. The 1.8 litres of hybrid will also be kept intact.